Please type your desired tags, e.g. Theoretical, Physical or Analytical, Security, Biology, Physics, Economics, Statistical Inference, Research Methods, Bionan, Operations Management, Inquiry, K-12 Education, Childhood Sexual Abuse, Management, Southern Literature, Genre theory, and etc. Dr. Marsh's research interests focus on subcellular structure. 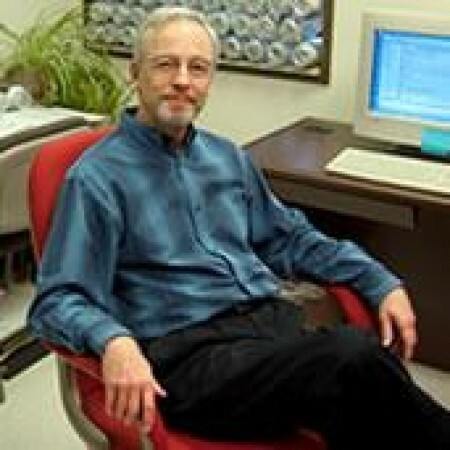 He is currently involved in projects concerning the identification and characterization of nuclear matrix proteins, cell surface lectins, and the protein cross-linking enzyme transglutaminase. Physarum polycephalum is a lower eukaryote that can grow as plasmodia containing multiple nuclei. Chemical damage of the plasmodia activates a Ca2+-dependent transglutaminase that catalyzes cross-linking of proteins in nuclei and cytoplasm by acyl group transfer between glutamine side chains and the e-amino group of lysine residues. Extraction of the plasmodia with SDS leaves filamentous envelopes filled with residual, ghost nuclei (Figure 1) that are protease sensitive and nuclease resistant. Protein cross-linking may block the spread of damage throughout plasmodia and prevent loss of cytoplasm. We have identified the transglutaminase as a 101 kDa monomeric protein with half-maximal cross-linking activity at 0.7mM Ca2+. The transglutaminase is also an ATPase and GTPase with apparent Km values of 15 mM ATP and 30 mM GTP. Whereas Ca2+ is a positive effector for the cross-linking reaction, it is an inhibitor for the ATPase and GTPase activities. Conversely, purine nucleoside di- and triphosphates are negative effectors for the cross-linking activity. The Physarum transglutaminase appears analogous to human tissue transglutaminase which is found in all organs and believed to have roles in apoptosis, -adrenergic signal transduction, and possibly degenerative brain diseases such as Huntington's. However, few specifics are known about its functions in man. To better understand its role in the model organism Physarum we are characterizing cross-linking target proteins. LAV1-2, a plasmodium specific 40-kDa protein with four EF-hand calcium-binding motifs, is the preferred in situ cytoplasmic acyl donor. In vitro cross-linking with purified transglutaminase and proteins fractionated by DEAE chromatography indicates that LAV1-2 is conjugated to a small set of acyl acceptor proteins. Antibodies raised against cross-linked ghost structures have been used to select target protein clones from a cDNA library. These antibodies lightly label cytoplasm of plasmodia but strongly decorate nucleoplasm in a punctate pattern (Figure 2). On immunoblots the antibodies strongly bind seven nuclear and two cytoplasmic proteins. Among the interesting target proteins are Nuclear Ghost Protein 1 (NGP1, comprised of a central domain with two RNP1-type RNA recognition motifs, flanked by N-terminal lysine and glutamate-rich regions predicted to form helical and coiled coil structures. At the C-terminus is a glycine-rich domain with GGRGGF repeats similar to many hnRNP proteins. The 61.1-kDa NGP2 contains a single RNP1 motif and possible CCHC zinc finger flanked at the N-terminus by 20 repeats with consensus ESGWGE(S/G)0-2GDK(E/EK/KE). NGP3 is a member of the UPF24 family of proteins predicted from ORFs in eubacteria, archaea, and eukaryotes but which are of unknown function. 1981–1981	1981, Kan, C.-C. and R. Marsh, Characterization of Histone-Depleted Nucleoli from Physarum polycephalum. Abstracts of the 81st Annual Meeting of the American Society for Microbiology, Abstract No. H27, p. 118. 1971–1971	1971, Marsh, R.C, Studies on the Relationship Between Replication and Expression of Phage T4 Late Genes. 1971 European Phage Meeting Abstracts. 1983–1983	1983, Kan, C.-C. and R. Marsh, Molecular Structure of the Extrachromosomal Nucleolus of Physarum polycephalum. The Ninth North American Physarum Conference, Abstract No. XII. 1972–1972	1972, Parmeggiani, A., G. Chinali, R.C. Marsh, and G. Sander, Interaction of EF-G and EF-T with Ribosomes. Cold Spring Harbor Abstracts, Protein Synthesis Meeting, p. 49.